There are endless debates over online marketing techniques. 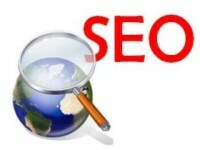 Among those debates, SEO effectiveness is continuously questioned. SEO’s ability to produce desired results is not easy to test as many other factors can affect your search ranking and website traffic. Also, keeping up with Google’s updates can become a challenge – especially for hoteliers who are running day to day operations at the hotel. The good news is that it’s not too late for independent hotels to optimize their sites and improve their search placements. In fact, many hoteliers are beginning to understand the importance of online marketing and that maximum ROI can be generated from the hotel’s website. As the online world continues to change, hotel professionals need to get educated on online marketing trends. Do you understand how quality content, effective keywords, and Google+ can improve your hotel’s website organic rankings and online revenue ? Today, investing in quality content is what will set you apart from the many “clone” hotel websites that may look nice but lack results. Although quality rich images are important , a hotel site must also provide content to give visitors and search engines something relevant to read. Also, keep in mind that after 2011 Panda update, websites with stuffed keywords have been dropped! The Google updates continue to drop websites with irrelevant content. Make sure you say things about your hotel that are important to your guests – find your niche! Once you find your hotel’s niche and understand the needs of your guests, you can focus on effective keywords. When choosing your keywords, be specific and relevant to your target market. Stop paying so much attention to keywords like “city name + hotel.” Instead, focus on terms that travelers may use to describe your hotel or location. Why do travelers stay at your hotel? Is because of unique amenities, style, tour packages, or price? Another popular topic among hotel marketers is the importance of Google+ which provides features allowing customers to easily connect with the hotel location. Most marketers understand that Google+ is a necessity as it strengthens your hotel’s SEO and organic search placement!